Since the Royal Wedding (or if we’re really being honest, since the first time my nine year old eyes first spied Prince William), I have had a slight love affair with all things British. 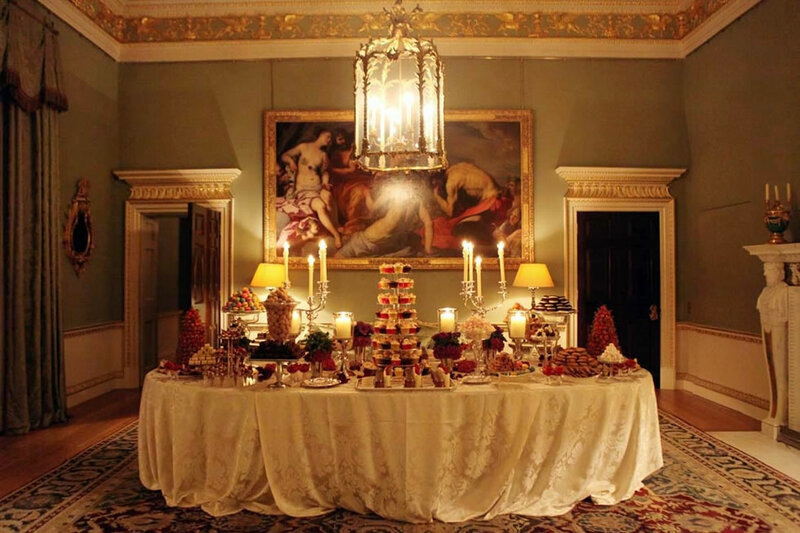 And thanks to this intimate, yet beautifully grand, British fête I DO Wedding Consulting sent over – the side of my heart that lives over the pond has grown in spades. Captured by Micaela Scimone Photography, the soiree is the bees knees, absolutely cracking, and oh-so-ace. Best of British to you if you think you’ll be at all productive once you’ve visited the full gallery! I wanted a very traditional, English venue in the center of London. I love this city and we wanted to showcase it in the best light for our American guests as well. My husband had been to a wedding at this venue years ago, which is a very historical house in the middle of London’s St James area; however, they only have a few weddings per year at this venue but we were lucky enough to be one of them. The colors and style were driven by the venue, built in 1756 for the Spencer family. The house is very grand with stunning architectural detailing. We did not want to detract from the interiors and architecture, but instead complement it. I knew that I wanted a dress inspired by the past, and I chose one that felt very antique and rich in history – yet it is a new dress. Our wedding was a mix of English and American traditions. For example, we chose to walk down the aisle to a Marvin Gaye song – sung by a fantastic singer from New York City, but we also had several traditional English traditions such as a toastmaster and a formal dinner prior to any dancing. The dinner in the Great Room, with red damask fabric lined walls and artwork owned by the Queen of England was something special. And our dessert buffet was a bit of America that the pastry chef had never seen in the UK. Venue, catering + desserts: Spencer House / Event Planning + Design: I DO Wedding Consulting / Photography: Micaela Scimone Photography / Videography: Quintessentially TV / Floral Design: John Carter Flowers / Entertainment: Strong Sensation Band / Chuppah: inGenious Productions Ltd. / Marquee: Peppers Marquees / Lighting: Focus Lighting and Productions Limited / Invitation Printing: Mount Street Printers / Wedding Cake: Peggy Porschen Cakes Ltd.